Avendus Capital advises Pristine Logistics on its INR 1,500 million fund raise from CDC Group plc. Pristine, has entered into a definitive agreement for raising INR 1,500 mn capital from the CDC Group plc., one of the largest development finance institutions in the world. 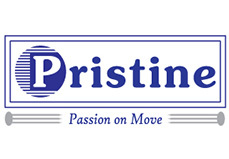 Pristine, having its headquarters in Delhi, is a leading player in the Indian Private Freight Terminal (PFT) segment. With this round of capital infusion, Pristine will look to expand its portfolio of railway linked terminals with asset build out at multiple locations across the country. Leveraging on its terminal network Pristine will offer comprehensive logistics services for both bulk and container cargo. Commenting on the investment, Srini Nagarajan, CDC’s Head of South Asia, said, “Pristine Logistics has the potential to become one of the largest terminal operators in India in an exceptionally developmental sector and geography. Low income states in India face an uphill battle in attracting longterm private capital. Part of the reason is the lack of enabling infrastructure, so this investment will not only create nearly 1,500 jobs directly but will also create 400 shorter-term construction jobs and will contribute more widely to development." Pristine Logistics & Infraprojects Pvt. Ltd. is a leading player in the Indian Private Freight Terminal (PFT) segment. Established by Amit Kumar and Rajnish Kumar, ex – Indian Railways (IRTS) officers, with a track record of heading the largest CONCOR ICDs and part of the founding team credited with building the rail and terminal business of Gateway Rail Freight, Pristine carries forward the common entrepreneurial vision to make a difference to the logistics sector in India. The Company provides a host of terminal logistics infrastructure and services including container train management, terminal management, warehousing and transportation. The Company provides customized and efficient logistics solutions through a single window in the most cost effective manner to its various clients. With a view to achieving its vision of removing crucial gaps in logistics solutions, support services and infrastructure development, the Company has operationalised a PFT asset at Kanpur with other assets at Ludhiana and Bihta under development. CDC’s mission is to support the building of businesses throughout Africa and South Asia, to create jobs and make a lasting difference to people's lives in some of the world's poorest places. Avendus Capital Pvt. Ltd is a leading financial services firm which alongwith its associates, provides customised solutions in the areas of financial advisory, equity capital markets, alternative asset management and wealth management. The firm relies on its extensive track record, in-depth domain understanding and knowledge of the economic and regulatory environment, to offer research based solutions to its clients that include institutional investors, corporations and high net worth individuals/families. In recent years, Avendus Capital Pvt. Ltd. has consistently been ranked among the leading corporate finance advisors in India and has emerged as the advisor of choice for cross-border M&A deals, having closed around 40 cross-border transactions in the past 5 years. Avendus PE Investment Advisors Pvt. Ltd. manages funds raised from its investors by investing in public markets, while Avendus Wealth Management Pvt. Ltd. caters to investment advisory and portfolio management needs of Family offices and Ultra High Networth Individuals / families, spanning all asset classes. Headquartered in Mumbai, the firm has offices in New Delhi and Bangalore.